Ordinarily, I do not care for modern versions of Shakespeare -- Hamlet in 20th century New York, or Victorian England, and so on. When I read Dunbar by Edward St. Aubyn’s version of King Lear, I was a bit apprehensive. Lear is my favorite Shakespearean tragedy, and I did not want to even think about what it might be like. 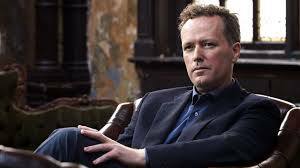 Edward St. Aubyn is an English author and journalist. He has authored eight novels. In 2006, he was nominated for a Booker Prize. That seems like a more than adequate background for Dunbar. My reading hardly took me to the tenth page when a number of references to the “Crazy Old King” came to my attention. As I read, I continued to mark these little nuggets. Only a few items were manipulated beyond the casual reader’s notice. Fortunately for one character, he did not suffer the fate of Gloucester at the hands of the evil Duke of Cornwall. No spoiler alerts here -- all the fun is in matching the characters in the two stories. Her is an interesting passage. St. Aubyn writes, “‘Grilled fish,’ said Garry, chuckling. ‘That always gets me’. // ‘He wouldn’t have been allowed one of your delicious sauces,’ said Peter, ‘because he was on a diet. That was a quotation from something he said to a waiter in Los Angeles, when he was having lunch with Gore Vidal.’ // ‘So, it’s a bit of history, then,’ said Garry. // ‘I’ll let you in on a little secret, Garry: everything is history. By the time you notice it, it’s already happened. That famous imposter, “the present,” disappears in the cognitive gap. Mind the gap!’ cried Peter, like a stationmaster warning passengers as train doors open” (33). Dunbar is in a remote asylum with some henchmen trying to find and kill him. He learns of the plot, and manages to escape. St. Auybn writes, “He would get everything back and, with his power restored, he would punish his wicked daughters and leave the empire to Florence. He had always known that he was supposed to love his children equally, but couldn’t disguise that it was Florence who charmed and delighted him. She had inherited her mother’s beauty as well as her disarming sympathy. Just by listening to him, she could make the knots he tied himself in spontaneously loosen and unravel. She didn’t exercise this effect self-consciously; it was a natural phenomenon, like ice melting at a certain temperature. Apart from her virtues, he loved Florence simply because she was Catherine’s daughter, and Catherine was the great love of his life, a love, or at least an image of love, immortalized by death, sealed off from decay and habituation, from the mundane forces that turn admiration into tolerance, and tolerance into irritation. He could see now, in this moment of lucidity, that after Catherine was killed in the car accident, he had clung to Florence in a way that may have contributed to her desire for independence and her decision to have nothing more to do with his business” (37). Something of a major turning of the tables there, but this thought process of Dunbar’s nicely fits in with Lear’s madness, and his moments of lucidity. All in all, Edward St. Aubyn’s version of King Lear – set in the 21st century – is a worthy descendent of the Bard of Avon. If you have even a high school memory of Lear, Regan, Goneril, Cordelia, Edgar, Edmund, Gloucester, Kent, Albany and Cornwall, this can be a most enjoyable read in a mere 244 pages. 5 stars! A friend passed along an interesting collection of poems by Gwendolyn Zepeda, which she had inscribed. I had never heard of Zepeda, but I enjoyed her collection Monsters, Zombies & Addicts. Her poems are sometimes funny, and unless you frequently find yourself hiding under the bed, you might enjoy these as well. I love a collection which forces me to choose a “favorite” as an example to my audience, and this one fills the bill. According to the cover, Gwendolyn Zepeda has author of a poetry collection Falling in Love with Fellow Prisoners. The title intrigues. She has also written several novels, and she is currently the Bayou City’s first Poet Laureate. In “It’s Friday Night,” she writes, “The ghosts who routinely arrive at one AM when you’re awake alone at night and your mind is overwrought from its concerns. // Sometimes they start in the corners of your eyes, in the corners of the windows // Othertimes they lurk in the low-res photos online of women who allegedly wait for you because they know you’re alone” (19). This narrative poem is a good example of this genre. She has written a number of these, and I liked them a great deal. She also offers some odes. In “no Title,” she writes, “The bravest thing is / daring to think / That the devils won’t follow you anymore. / Those omens were wrong and / the unsaid prophecy untrue. / To think that you might not be // a dog in a yard / a dumb drooling and flea bit, / blocked by fences that / no one else can see.” (20). In “Dream Dictionary,” she struck me in a wonderful way. She writes, “They say the symbols of your dream must be particular to you. / They say only you can know their meanings. / And, so I meditate. // The kittens that cry sound like They do, but then / tug at my womb like everything. // The woman that left (like She did) looked mean but when / breathed, smelled like freedom. // The monsters that made me scream in the dream, I / realize now, had your faces. // I’m screaming at your faces, but I can’t run away.” (25). Here is a short poem about pain. “A Fall.” I felt my foot hit wrong on the stair / my weight pitch too far forward of center / Corrected course but not enough. / A little too late. / I felt my writs wrench, gripping / the banister, / Ankle bone ground on the edge. / Hip took the weight of far too much of me. / Carpet burns everywhere. / Carpet burns everything. / I heard my own scream / like a scared, angry goat. I bleated. I called out the / pain, the rage, the regret / of my miscalculation” (56). “Flirt” is another fun piece. “You say I flirt too, much. You / call me flirt. Wide eyes, / moving lashes. Flashing smiles / were how I got taught to be / polite. My memories pretty / women and my targets / stubborn men. / See what you want. / Say what you wish / If I wanted you, my ears / would sound like roaring / trains of lions. My tongue would / taste like a metal of a pencil’s end, /or blood. My feet would ride / a wave to you, then bed. // I can’t say how it’d look to you; I can’t say how it’d look to you, I’ve never seen me flirt.) (65). This nice and neat collection of poems is just the thing for cool autumn nights. Gwendolyn Zepeda has offered some interesting poems to give us a new perspective on life. 4 Stars. 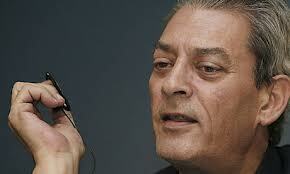 Paul Auster might not be a house-hold name, but it surely ought to be. He has written a dozen novels, a collection of poetry, two hands full each of non-fiction, screen plays, illustrated books, and he edited several other works. His latest novel is 4321, which made the 2017 Booker Prize Short List. Every year, I pick three novels from the long list, and try to read them all before the winner is announced. I have come close a few times. Last year I picked three from the long list, but none of mine survived to take home the prize. This year I tried again. The three I picked made the short list. I already had read one – Lincoln on the Bardo by George Saunders – and I owned Paul Auster’s 4321. I felt confident that I would have picked the winner this year, and I did. George Saunders greatly deserved the prize for a wonderfully inventive and absorbing novel. I have already reviewed it for Likely Stories, and I renew my declaration of Lincoln as a first-rate novel. However, my favorite was the Auster tome of 866 pages. 4321 is one of the greatest novels I have ever read. It is a story of a man from Russia who escaped with jewels and money sown into the lining of his coat. He ends up on Ellis Island, and meets a fellow traveler who warns him his alphabet soup of a Yiddish/Russian name would get him nowhere. When he finally sits before the examiner, he says in Yiddish, “Ikh hob Fargessen” (I’ve forgotten)! The clerk entered his name as Ichabod Ferguson. Ichabod fathers four sons, who, in turn create offspring of their own. Archie Ferguson, grandson of Ichabod, becomes the focus of the story. Now, before you quickly run to the nearest book store or fire up Amazon “One-click-Ordering,” a few words of advice. First, make lots of family trees to keep the main characters straight. Second, have a good dictionary at hand, and third, readers might want to familiarize themselves with the latest theories of the Multiverse. Also, readers play close attention to Chapter 2.2. This is a complex novel to say the least. 4321 is what I call a “puzzle novel”. Despite all this, I was amazed at how I could gobble up dozens of pages at a sitting. While it did take nearly a month – stacks of essays and other tasks – robbed me of many hours of reading. I needed to become accustomed to his style of long sentences – some running to a page or more – I was mesmerized from the first line. I spent lots of time figuring out the odd chapter numbers, not to forget the odd title, but it was worth every single minute. I have already worked out a plan for a second read this summer. I have many, many passages noted for this review, so choosing among them will be tough. Especially since Archie, a year or two ahead of me, had many shared experiences, fears, joys, and sorrows. Here is one brief passage in chapter 1.1, “The best things in the world were vanilla ice cream and jumping up and down on his parents’ bed. The worst things in the world were stomach aches and fevers” (31). Archie also invented an imaginary brother. Archie’s Aunt Mildred was a college professor, and she carefully guided him along a reading life path. She sent him dozens of recommendations and books for him to read. The list was magnificent, and although he rarely saw his Aunt Mildred, they did keep in touch and always talked about what Archie was reading. In one of his letters home, Auster writes, “‘I’ve read three books since I’ve been here,’ he wrote in the last letter, which was dated August 9th, ‘and I thought they were all terrific. Two of them were sent to me by my Aunt Mildred, and a little one by Franz Kafka called The Metamorphosis and a bigger one by J.D. Salinger called The Catcher in the Rye. The other was fiven to me by my cousin Francie’s husband Gary—Candide by Voltaire. The Kafka book is by far the weirdest and most difficult to read, but I loved it. A man wakes up one morning and discovers that he’s been turned into an enormous insect! It sounds like science fiction or a horror story, but it isn’t. It’s about the man’s soul. The Catcher in the Rye is about a high school boy wandering around New York. Nothing much happens in it, but the way Holden talks (he’s the hero) is very realistic and true, and you can’t help liking him and wishing he could be your friend. Candide is an old book from the 18th century, but it is wild and funny, and I laughed out loud on almost every page” (179). When I reached about a hundred pages to the end, I frequently cried, and I slowed down my reading to only a couple of pages – at the most! – because I did not want it to end. But when I did finish, I knew it would never end. Paul Auster, 4321, and Archie Fergusun will be with me for a long time -- as long as I can manage reading. 10 Stars. José Saramago won the Nobel Prize in Literature in 2010. A seven-inch-square notice in a local paper was my only introduction to this fantastic Portuguese writer. I have read too many of his books since then to list them now. However, my first read was All the Names a peculiar story of a man who works as a lowly clerk in the Central Registry of an unnamed city. His daily routine involved issuing certificates of birth, marriage, and death. Senhor José, the clerk, methodically picks out six—and only six--cards which require updating. One day, he accidentally pulls seven cards, and this sends him on an interesting and suspenseful journey. The story is mesmerizing and so full of marvelous detail, I found it difficult to put down. My latest excursion into the mind of Saramago is a novel titled Skylight. The jacket informed me that it was his first novel, which he had send to a publisher in the early 50s. The publisher did not think much of it, so he threw it on a shelf and forgot about it. Forty some years later, the publisher was moving an office, found the manuscript, and immediately contacted Saramago with an offer of publication. “Thank you, but no,” he said as he gathered the leaves and left the building. This publication, finally brought Skylight to the attention of the reading public. Skylight is set in the 1940s Lisbon. The tenants in a shabby apartment building are struggling to survive. Among the interesting characters is Silvestre, a cobbler, and his wife Mariana. They decide to take in a lodger, Dona Lidia, a former “Lady of the Night,” to earn some extra money. The language of this novel is languid and resembles a saraband, a slow-moving Spanish dance. 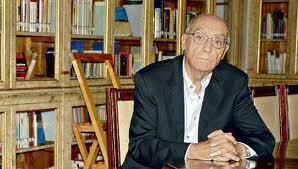 Saramago writes, “Time slipped slowly by. The tick-tock of the clock kept nudging the silence, trying to shoo it away, but the silence resisted with its dense, heavy mass, in which all sounds drowned. Both fought unremittingly on, the ticking clock with the obstinacy of despair and the certain knowledge of death, while the silence had on its side disdainful eternity” (24). […] The dialogue between the clock and the silence was again interrupted. From outside came the rumble of tires over the uneven surface of the street” (25). […] The doorbell rings, and Dona Lidia wakens. José continues, “Slowly, painfully, as if her body were refusing to move, she got up and turned on the light. The dining room, where she was sitting, was quite large, and the bulb that lit it was so feeble that it could only just manage to keep the darkness at bay, leaving shadows lurking in the corners. The bare walls, the hard, unwelcoming stiff-backed chairs, the table unpolished and unadorned by flowers, the stark, drab furniture—and alone in the midst of all that coldness sat tall, thin Justina, in her black dress and with her deep, dark, silent eyes” (25). This novel has a solid connection to Gothic tales. The hard-working, good people who live in the apartment live a seemingly drab existence, but they are interesting people, and they deserve more readers. Skylight by José Saramago is a long-neglected novel, which, I believe, would make a fine introduction to this inventive and absorbing writer. 5 Stars. I have admired Ann Hood for quite a few years – way back to the early 80s. For some reason, she fell out of my radar. But I resumed my love for her work with The Obituary Writer and now, her latest novel, The Book That Matters Most. I really enjoy novels set in libraries and bookstores or stories which revolve around a book club. This novel has all that and suspense, as well. Ava and Jim have recently separated, Ava is naturally angry and distraught. They have a daughter, Maggie, who is on a year-long adventure to Florence, Italy to study art. Her father financed the entire trip. Ava teaches French at a local college. Cate is a friend of Ava’s, and she has promised Ava a seat in her book club as soon as one opens. A seat becomes available, and Ava joins the club. Ava recalls Ted, a former partner. Hood writes, “Ted didn’t like books very much. Any books, never mind one about a philosophical seagull. Over a decade ago, when they lived in Manhattan and she was working at the Strand bookstore on Broadway and Twelfth, she would come home excited, a bag full of review copies and hard-to-find used books. She would lay them out on their enamel-topped kitchen table as if they were precious things. They were precious things, she reminded herself now. How she hated the way he shoved them aside to make room for his own textbooks; he was getting an MBA then, poring over facts and figures at that table long into the night” (96). I am glad that “book shover” was quickly out of the picture. The frame for the novel is, of course, the book club. The annual picking books for the next year occurs, and they do something unusual. Cate, the coordinator of the club announces a theme for the next year. Ann writes, “‘Last year our theme was ‘The Classics,’ and Paula’s pick was Remembrance of Things Past. Can you believe that?” // Ah. Proust. Ava thought, remembering that he was the writer whose words her mother had repeated. There are perhaps no days of our childhood we lived so fully as those we spent with a favorite book. She considered reciting the quote to the woman staring up at here to prove herself worthy to be here, in Paula’s shoes” (14). Now that is an interesting idea, and I might propose we try it as our next book selection event nears. Meanwhile, Maggie has grown bored with Florence, and she travels to Paris. She meets an older man, and Maggie’s world begins to fragment. She occasionally emails her mother, lying about her whereabouts and her health. Hood writes, “Maggie stood, her knees weak, and made her slow way outside. It was early morning, and the sky was streaked with pink and red. It would be a hot day, she thought. She looked around, searching for something to orient her. A landmark or a street sign. But nothing looked familiar. She walked to the corner, stopped again to look around, still saw nothing familiar, and kept walking, until finally in the distance she saw the green pipes and blue ducts of the Pompidou Center. Relieved, she walked toward it. Nearby was the café where she had seen Noah, and the bookstore with the beanbag chairs. She would have a big café au lait and an omelet and bread and then she would go into the bookstore and sink down in a beanbag chair, and read” (223). At this point the story comes together with a teary and satisfying ending. Ann Hood is a wonderful writer with lots of talent for drawing her characters, describing their settings, and exploring their anxieties and fears. Part of the story involves the death of Ava’s sister when they barely more than toddlers. Some might call this “chicklit,” but I prefer to call Ann Hood’s marvelous story, The Book the Matters Most a first-rate read for all adults. 5 stars. When I first dreamed of teaching college English Literature, my heart was set on studying the Brontës—Charlotte, Emily, and Anne. Without a mentor willing to work with me on them, I had to change direction. It has been some time since I read any of the works by these women, so I am now going to embark on reading them all again. I plan on four or five a year. My first is The Tenant of Wildfell Hall by Anne. I only read it twice, and I was not as impressed as I was with the other two authors. I was delighted when a colleague nominated Wildfell for our book club. 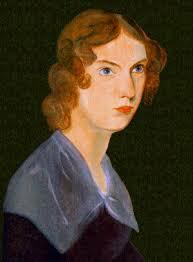 Anne Brontë was the youngest of the three, and she wrote only one other novel besides Wildfell, Agnes Gray. She was born in1820, and became close to Emily. Together they created an imaginary world of Gondal. This work was the basis for much of their dramatic poetry. The novel was considered quite scandalous at the time. Anne drew on her experiences as a governess for the novels, and her experiences with her Brother Branwell provided the fodder for Mr. Huntingdon, the husband of Helen. Wildfell represents the first sustained feminist novel. Anne died in 1849. Markham already smitten, questions Helen. Ann wrote, “‘Do you not find it a desolate place to live in’ said, I, after a moment of silent contemplation. // ‘I do, sometimes,’ replied she. ‘On winter evenings, when Arthur is in bed, and I am sitting there alone, hearing the bleak wind moaning round me and howling through the ruinous old chambers, no books or occupations can repress the dismal thoughts and apprehensions that come crowding in—but it is folly to give way to such weakness I know—If Rachel is satisfied with such a life, why should not I?—Indeed I cannot be too thankful for such an asylum, while it is left me.’ // The closing sentence was uttered in an undertone, as if spoken rather to herself than to me. 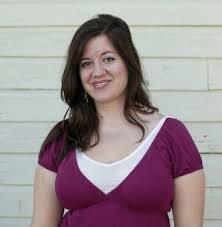 She then bid me good evening and withdrew” (76). While the antiquated and elevated language may be a barrier to some readers, a persistent bibliophile will quickly become accustomed to the style. These three women have left us a fantastic set of literary marvels. The Tenant of Wildfell Hall by Anne Brontë is an exhilarating ride through one of my favorite literary periods. 5 stars. I recently reviewed Fredrik Backman’s splendid novel, My Grandmother Asked Me to Tell You She’s Sorry. As is my curse and joy, I must read the rest of the works by such a talented writer. A Man Called Ove is every bit as funny, sad, and wonderful. 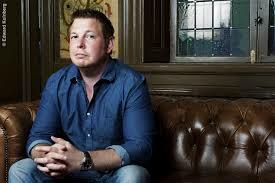 In the queue for his works is, Brit-Marie, a sequel to Grandmother, and the recently published Beartown. The story is funny from the first page, and after a few chapters, only the hard-hearted will not be touched to their souls. Any reader would be well-advised to add these four works to a favorites shelf. Ove is actually Backman’s first novel, and what a debut story it is! Ove’s wife has died, and he is quite distraught. He decides to commit suicide to join her. But before he can carry out this plan, everything in his house from top to bottom must be in perfect order. All the appliances, the paint, the door locks, all must all be perfect. He has a slight case of OCD, as he tries every door knob with three twists. He was the head of the local housing council, but his constant reminders of the most minute details of running the council eventually gets on everyone’s nerves, so he is fired. However, he continues his daily walks and checks of the neighborhood. He becomes particularly upset by strangers who drove in an area forbidden to cars or parked a bicycle outside the shed. He was also suspicious of strangers, salesmen, realtors, and children. Backman writes, “It was five to six in the morning when Ove and the cat met for the first time. The cat instantly disliked Ove exceedingly. The feeling was very much reciprocated. // Ove had, as usual gotten up ten minutes earlier. He could not make head nor tail of people who overslept and blamed it on the ‘alarm clock not ringing.’ Ove had never owned an alarm clock in his entire life. He woke up at quarter to six and that was when he got up. // Every morning for almost four decades they had lived in this house, Ove put on the coffee percolator, using exactly the same amount of coffee as on any other morning, and then drank a cup with his wife. One measure for each cup, and one extra for the pot—no more, no less. People didn’t know how to do that anymore, brew some proper coffee. In the same way nowadays nobody could write with a pen. Because now it was all computers and espresso machines. And where was the world going if people couldn’t even write or brew a pot of coffee?” (5). Ove also had a romantic streak. Backman writes, “She had a golden brooch pinned to her dress, in which the sunlight reflected hypnotically through the train window. It was half past six in the morning, Ove had just clocked off his shift and was supposed to be taking the train home the other way. But then he saw her on the platform with all her rich auburn hair and her blue eyes and all her effervescent laughter. And he got back on the outbound train. Of course, he didn’t quite know himself why he was doing it. He had never been spontaneous before in his life. But when he saw her it was as if something malfunctioned” (128). 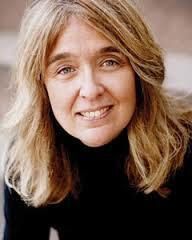 I am a college professor, and I teach Brit Lit I, World Lit II, Creative Writing, and Composition. My research interests are the Middle Ages, the Renaissance, James Joyce, and atheism and rationalism.